What boy does not like racing cars? 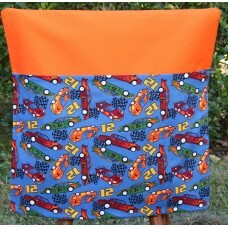 This 2019 school chair bag design features a racing cars print on the pocket of the orange chairbag. 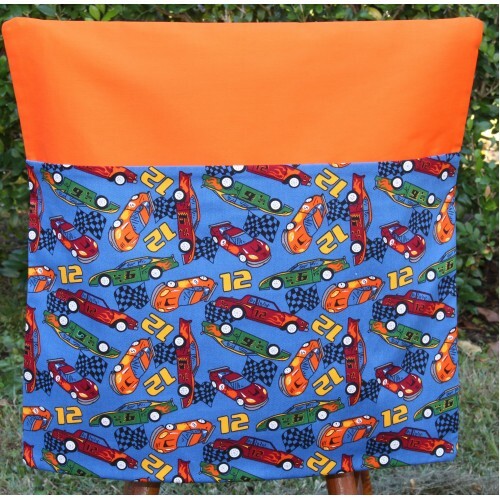 Made from high quality 100% cotton textiles from Pink Petunias this chair bag has been lined with the same orange fabric making it strong and durable. Designed to fit straight backed school chairs. Machine washable in cold water. Available in large. Design: Racing Cars. Pattern placement may vary. Featuring a marble print on the pocket of this hot pink chairbag. Made from high quality 100% cotton..